Author Helen Thorpe is coming to Greeley for a book talk from 7-8:30 p.m. April 23 at Greeley West High School Auditorium, 2401 35th Ave. United Way of Weld County, Greeley-Evans School District 6 Family Center, Immigrant and Refugee Center of Northern Colorado and Lutheran Family Services is hosting the shared event. 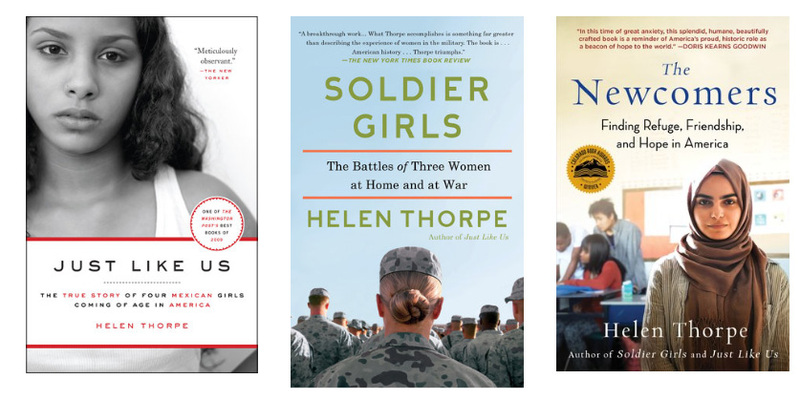 Thorpe, who currently lives in Denver, was born in London to Irish parents, and is the author of three books: Just Like Us, Soldier Girls, and The Newcomers. Her books are works of narrative nonfiction that document in a human and intimate way the lives of immigrants, refugees, and veterans of foreign conflicts. The Newcomers was described by The New York Times as “a delicate and heartbreaking mystery story” about 22 immigrant and refugee teenagers who share one classroom while learning English together. That newspaper went on to say, “Thorpe’s book is a reminder that in an era of nativism, some Americans are still breaking down walls and nurturing newcomers, the seeds of the great American experiment. Thorpe’s magazine journalism has appeared in The New York Times Magazine, The New Yorker, Texas Monthly, Westword, Chalkbeat and 5280.